A few weeks back I wrote about how New Zealand had entered the space race. The little rocket that could from Kiwi company Rocket Labs has launched a payload into orbit from Aotearoa. It also turns out that that one of the satellites launched is the Humanity Star, which is designed to be visible from earth with nothing more than the naked eye. Cool, eh!? 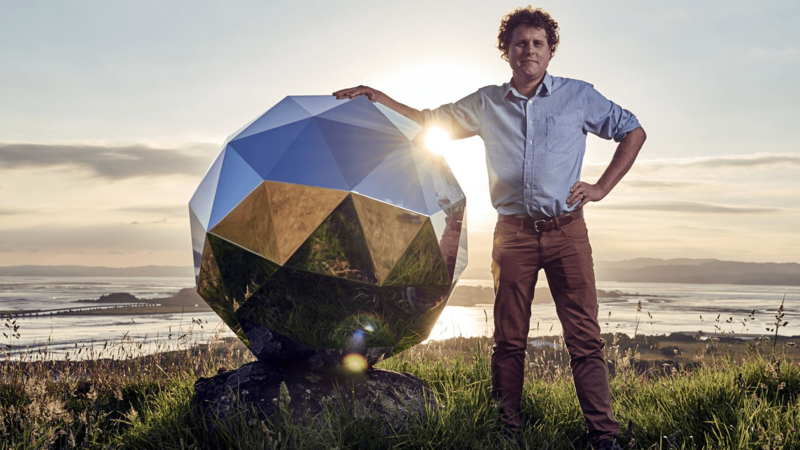 The Humanity Star concept comes from Rocket Lab founder and CEO Peter Beck, and it resembles an XXL-sized Christmas bauble. To be more specific, it’s a big geodesic sphere. Keeping its launch weight down saw it crafted from carbon fibre. It has some 65 reflective panels. Because it spins, it’ll reflect sunlight back to Earth. The effect should resemble a bright blinking star visible against most starry skies. The Humanity Star orbits the Earth every 90 minutes. The boffins at Rocket Labs estimate that Humanity Star will stay in orbit for around 90 days, after which gravity will degrade its orbit and pull it back to earth. To take a gander and find out when Humanity Star is next overhead, visit the Humanity Star website (http://www.thehumanitystar.com/) and enter your location.